Dine with us everyday of the week!Catering & Conference Services.Book a room at The Bulkley Suites. Downtown Smithers BC. we practice what we preach. We offer a full range of catering, conference and take out services. 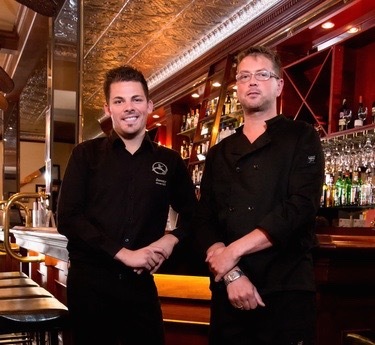 Owners since February 2010, Jeremy & Sascha take pride in creating a great dining experience within this casual pub like environment. Sascha completed his culinary credentials back in his home country of Austria; you will find a great variety of European inspired dishes on the menu. Need A Place To Stay In Town? Book a room at The Bulkley Suites, located just above the restaurant!